There's nothing worse then having your students leave on the last day of school only to look around your classroom and see an endless to-do list that needs checked off before YOU can officially open the doors to summer break. 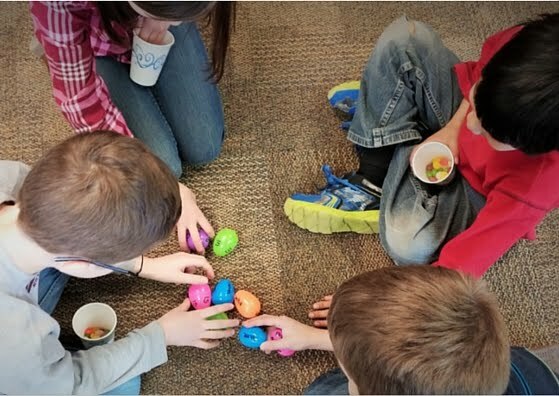 As a recovering perfectionist when it comes to my classroom, I know how hard it is to allow someone, let alone a 10 year old, to help you organize the classroom. But, I've also learned that being the last teacher to hang up your keys for the summer is a bit painful as well. So, I had to learn to loosen the ropes a bit and enlist students' help when it came to packing up the classroom for the year. The result? Surprisingly successful. Turns out students LOVE the responsibility of boxing up your room for the year. If the thought of this makes you cringe a bit (what if they put a poetry book in with the science fiction books! 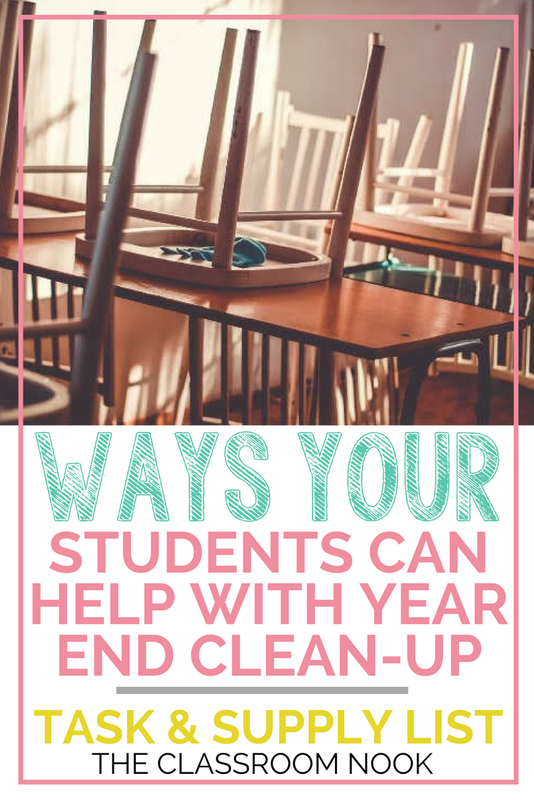 ), I want to encourage you to consider letting your students help you with a few tasks that will lighten your end-of-year load a bit. But first - Take pictures! If you want to remember how everything was organized, be sure to snap a few pictures to refer to in the fall when you are putting your classroom back together, or even setting up in a new room! 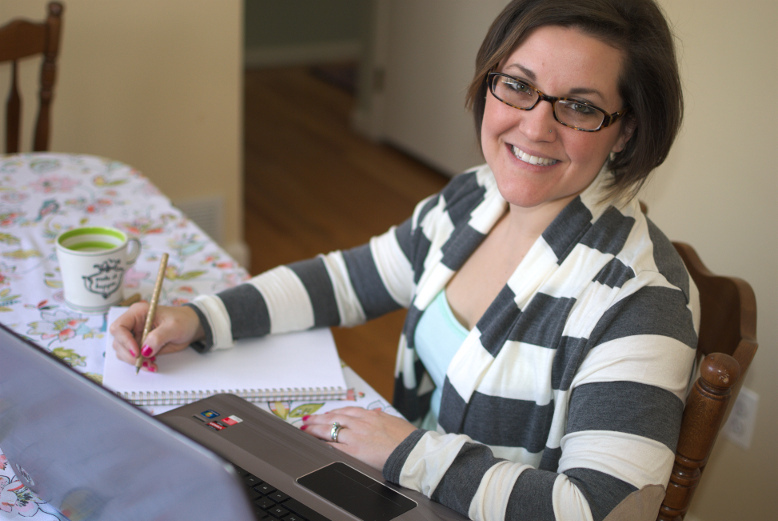 Make sure you carefully model exactly how each task is to be completed. Let students know what they should do if they run into an issue. 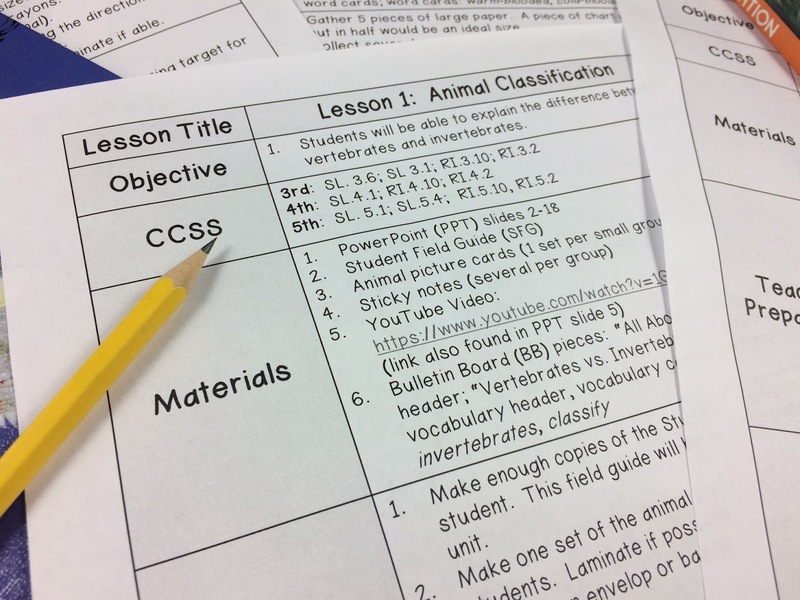 You may even want to give students a step-by-step checklist of what needs to be done and in what order. Actually, wait - I did that for you! Download a set of task slips that you can easily print, cut and hand out to your students! Just fill out the form below and I'll send it right to you! 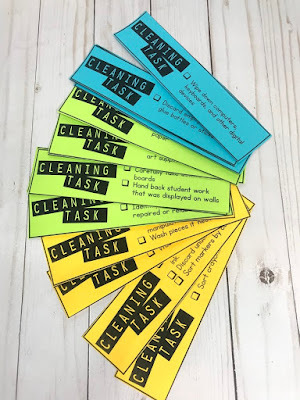 Along with your task checklist, you can even create "task baskets" where you place materials that will be needed for each cleaning/organizing task (cleaning products, paper towels, etc...) so students have exactly what they need to complete their assigned task. When you assign students to a task, provide them with the corresponding basket and put them to work!